Ethnic tourism is becoming increasingly popular in Russia and more tourists are visiting the settlements of indigenous peoples in Yakutia, Altai and Tyva, Chukotka, the Caucasus, and the Komi Republic. The Yamalo-Nenetsky Autonomous District is one of Russia’s biggest ethnic tourism destinations. In that sense it is rivalled only by the Khanty-Mansi District (also known as Yugra), which lies to the south. The local Torum Maa ethnic reserve was one of the first to be created in Russia back in the mid-1980s. 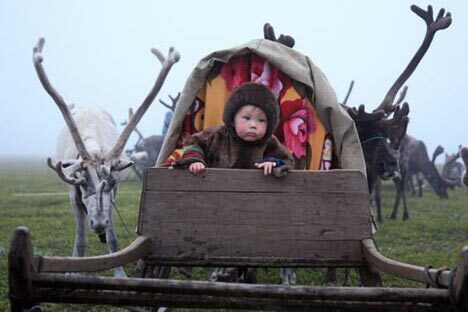 According to the Russian statistics agency, there are 48 indigenous tribes living in Russia, mostly in the Far North, Siberia, the Far East, and the Caucasus. The country's indigenous population is less than 500,000, or 0.3 per cent of the total. Tour prices start from 10,000 roubles. For more details, visit Elbrus Tour Service (in Russian).